Actress Samira Wiley attends Logo TV's "Trailblazers" at the Cathedral of St. John the Divine on June 25, 2015 in New York City. Samira Wiley looked cool with her buzzcut at the Trailblazers event. 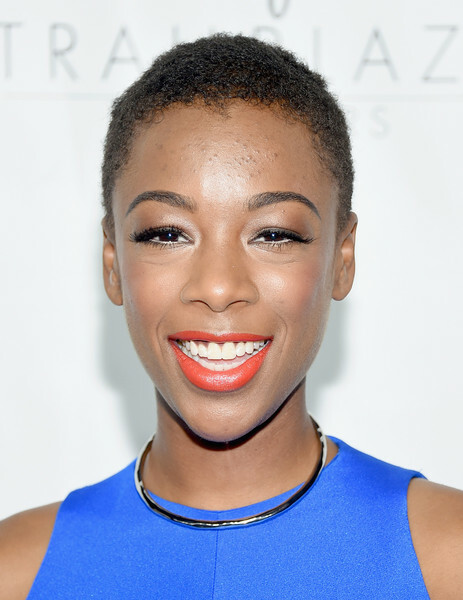 Samira Wiley's orange lipstick made a striking contrast to her electric-blue outfit.